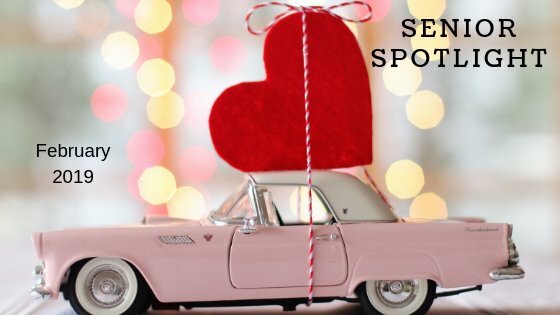 Check the Spotlight each month to find out the latest on day trips, special events, various classes and resource information. Celebrate friendship and a variety of fabulous food. Bring a favorite dish to share that will serve 4-6 people that represents your heritage or family tradition. Enjoy sweet treats and good friends this afternoon. We will have live music and room for dancing too! Explore creative solutions to stay in the home you own or rent affordably when subsidized housing is not an immediate option. Learn tips, strategies and resources to make your dollars go farther. Topics include food, bills, utilities, taxes, insurance, debt and more. This Latin-Inspired fitness class is a great, unique and effective approach to exercise. No class 2/18. Tai Chi is easy and gentle movement that develops body awareness and can help seniors to keep their balance, stay mobile and maintain independence. Attend this informational presentation given by Collette representative regarding this trip. Fee includes transportation and admission. Lunch and any special exhibits are on your own. The casino package includes a $5 free play on card, free drinks while gambling and possible other incentives. Family Hearing provides free audiology services such as ears checked and cleaned, hearing aids inspected and cleaned, and hearing screenings. Appointment required. Call 303-661-1492. Understand Medicare enrollments, plans, benefits and costs. Offered by a Boulder County Area Agency on Aging Medicare Counselor. Connect with peers to create a community, maintain hope, and process frustration and sadness during the transition to living with visual impairments. Sponsored by the Center for People with Disabilities 303-790-1390. Get peer and facilitator support, resources and education for people with younger onset Alzheimer's disease and their care partners. Copyright © 2018 City of Lafayette, CO. All Rights Reserved.